Emir of Kano, Muhammad Sanusi II has said that the Kano Emirate Council and the government of Kano state are working towards enacting a law that will stop early marriage in Northern Nigeria. 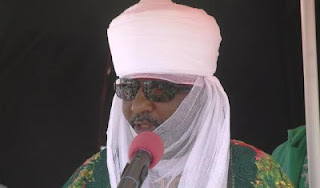 The monarch who is an ardent advocate against the practice of early marriage, said this at his investiture ceremony as the Grand Patron for Women and Children Healthcare by the United Nation’s Population Fund in Kano yesterday January 9th. According to the Emir, the practice of early marriage has made many girls lose their lives as most of them die while giving birth at such young age.